Syracuse Area Chamber event successful, year after year! 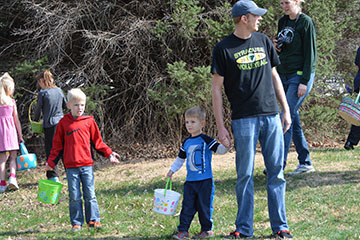 The Annual Syracuse Easter Egg Hunt will be held on Saturday, April 20 @ 4:00 p.m. at Williams Park in Syracuse, NE. Kids divided into four age groups: 2 & Under, 3-4 Years, 5-6 Years, 7-8 Years. 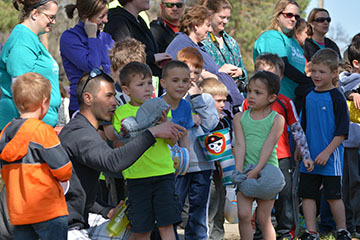 Prizes for every group: $1.00 eggs, $ .50 eggs, $ .25 eggs PLUS tons of candy eggs. This event will be held RAIN OR SHINE. If you have family or friends visiting for Easter, feel free to bring them along to join in the fun! Just show up at the Williams Park Picnic Shelter (across from the swimming pool) and we’ll direct you to the right area for your child’s age group. 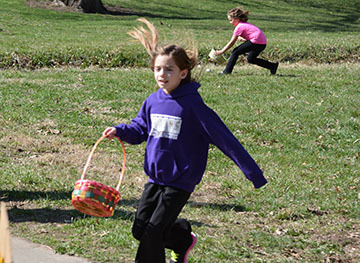 Age divisions will be color coded this year, with the egg hunt in each division starting when their colored flag is dropped! 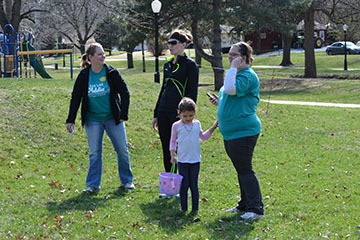 As a courtesy to everyone attending, please listen to the volunteers in your child’s age division to hear how many eggs each child is allowed to pick-up. 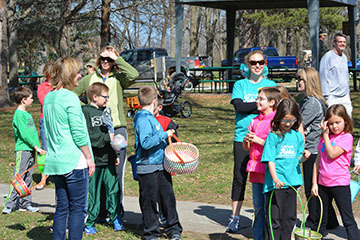 If you wish to recycle your plastic eggs, please drop them into our “Egg Recycling” bins near the Williams Park Shelter as you leave the event! 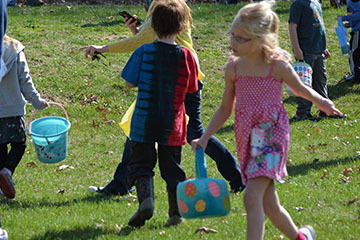 After the egg hunt, every child who participates will be given a certificate for a FREE ice cream cone, compliments of the Dairy Chef in Syracuse and a $1.00 OFF coupon from Tropical Sno – Syracuse. Q. Will the event be held if it’s raining? A. Yes, this event is held rain or shine! 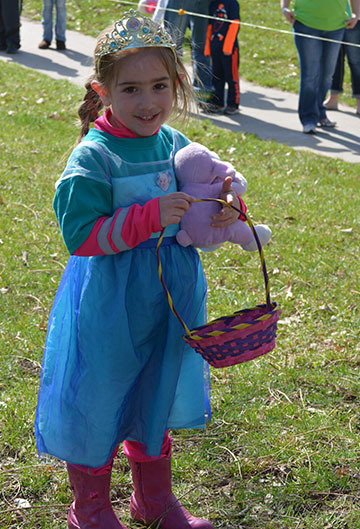 Kids love hunting Easter eggs anytime… so if it’s raining, just dress appropriately for puddles. Q. Is this event open only to Syracuse residents? A. We welcome all children ages 0-8, so whether you live in a neighboring community or are simply here visiting for the weekend… come join us! Q. Do we have to recycle the plastic eggs? A. If you want to take the eggs home with you, that’s perfectly fine. 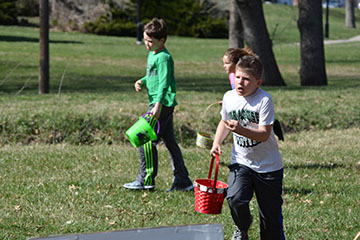 We just offer the option to recycle the plastic eggs if you don’t need them because the fewer eggs we have to purchase each year, the more money we have to put towards candy and cash prizes! A. Questions about this event can be directed to Jeni Leefers, the event chairperson for the Syracuse Area Chamber.